1. 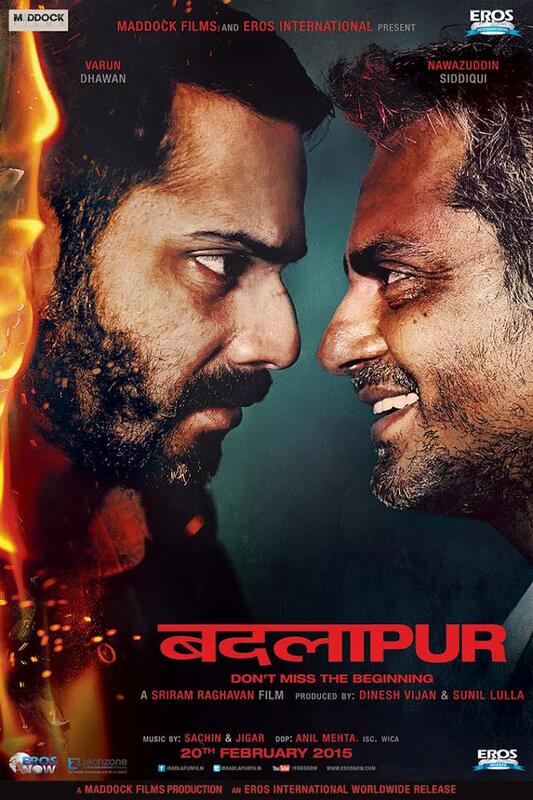 Badlapur : This movie blew me with its performances. Varun Dhawan was totally different from what he was known for and the role performed by Nawazuddin Siddiqui remained with you after watching it. He is truly a versatile actor. The story was gripping and underlines a message that it is difficult to pardon but necessary for freedom to live. 2. Dum Laga Ke Haisha : The film captured 90's atmosphere beautifully. Ayushman Khurana and Bhumi Padhekar did full justice to their characters. The brewing of love between the two strangers by accepting shortcomings of each other is shown in an entertaining way by maintaining the emotional quotient of the story. I would rate it the best performance from Ayushman Khurana till date. 3. 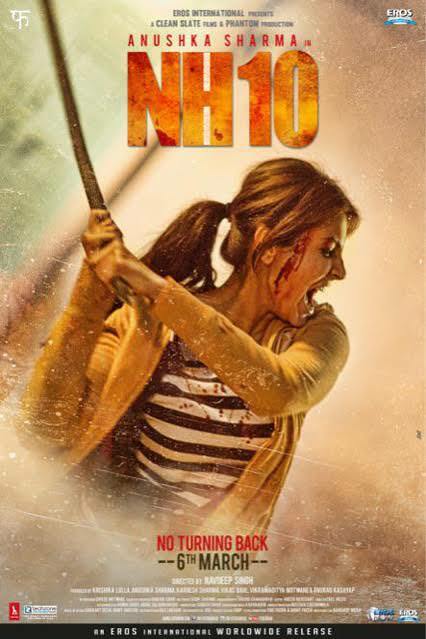 NH10 : Anushka Sharma was one of my favorite actress before her lip surgery which snatched charm of her face but this film shows that her acting charm has not gone away with her looks. She did a role usually unexpected from Indian heroines. The film keep you hooked even without songs and a male lead character which I think is the USP of this movie. 4. 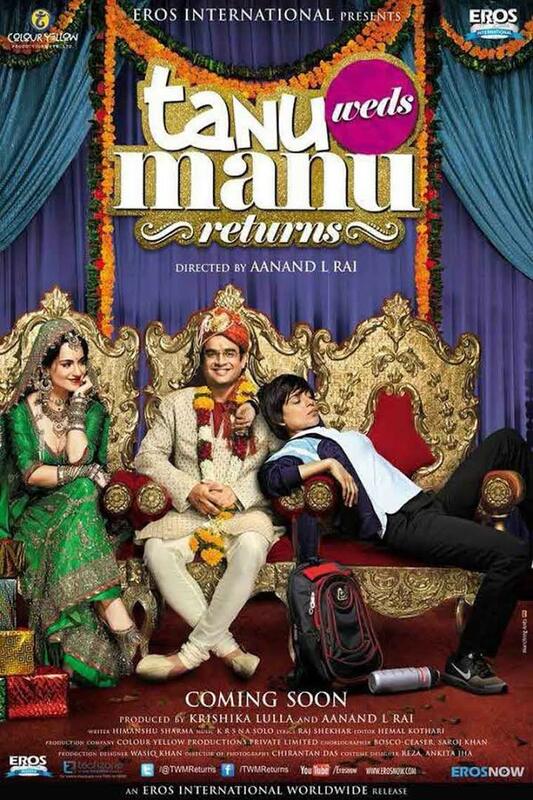 Tanu Weds Manu Returns: Expectations from Kangana Ranaut was high after her Queen performance which she fulfilled with flying colors for her performance as 'Datto' the Jat girl in the film. Director Anand L. Rai and script writer truly deserves the success of this film because sequels better than the original film are rare in Indian cinema. 5. 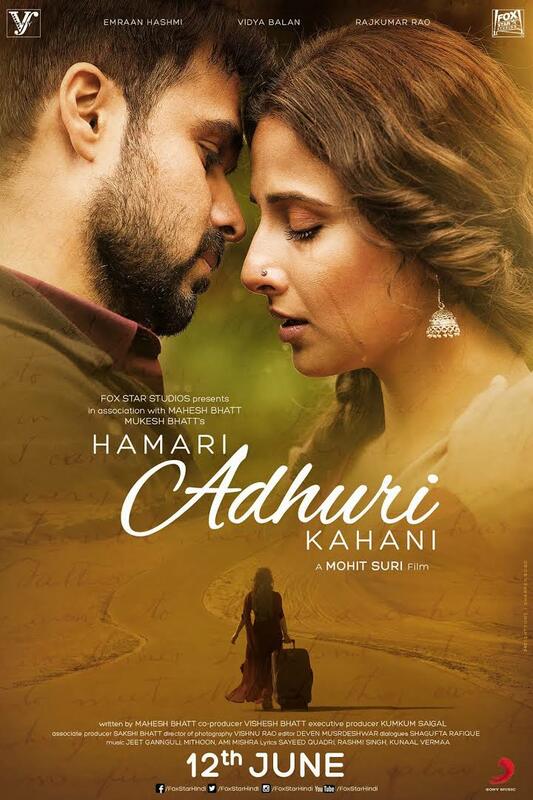 Hamari Adhuri Kahani : Mohit Suri the director of this film has perfected incomplete love stories those love stories which don't essentially require physical union of lovers and which ended in death of either one or both the lovers. Awargee, Jannat 2, Ek Villain, Aashique 2 all were based on union of souls which Vidhya Balan summarizes in this film's dialogue, ' Usne Mera Jism Nahin Meri Ruh Ko Chua Hai,’ The flow of emotions, the tenderness of love and sacrificial love of Emraan Hashmi were the takeaway from this movie. Title song too was heart moving. 6. 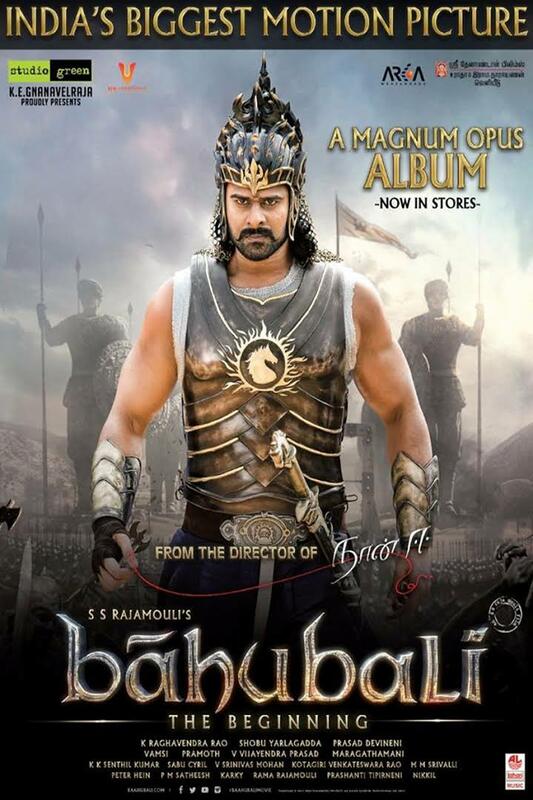 Bahubali : This film released simultaneously in Tamil, Telagu and Hindi language. One should learn the scale of grandness and vastness of imagination and execution. The story is similar to other South Indian films where Hero can do anything he wants but the grand scale and direction make it a blockbuster movie of this year. No other dubbed movie did business in Hindi cinema like this one and the question it raised still is without answer.' Kattappa Ne Bahubali Ko Kyun Mara?' I am waiting for its next part. 7. Bajrangi Bhaijaan : Who could have expected that Salman Khan would easily transform from his action image to someone who has so much innocence. He perfectly justified his role along with Nawazuddin Siddique who showed his comic side brilliantly. This film is about human emotions and love which is universal and that's why it touches your heart. 8. 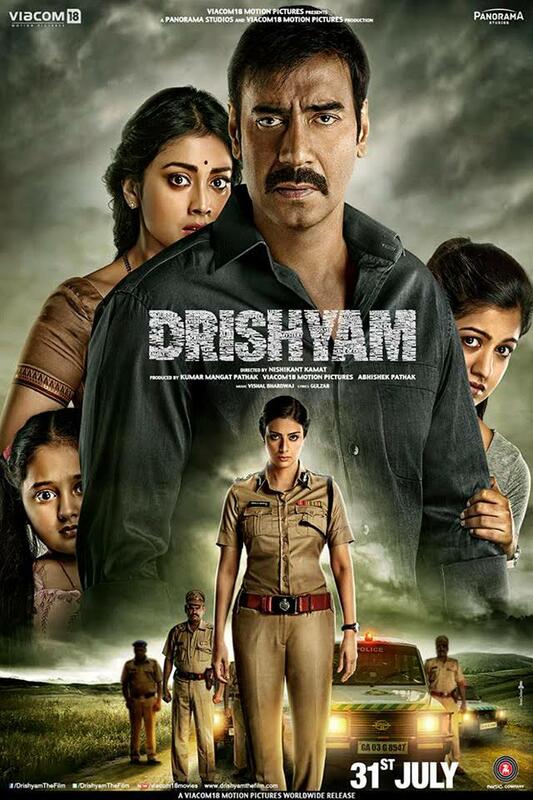 Drishyam : I usually get distracted while watching movies but this one was different it keeps you at the edge of your seat. The gripping screenplay and simple yet convincing acting by Ajay Devgn glued you to your seats till the last frame. A perfect thriller released in 2015. 9. 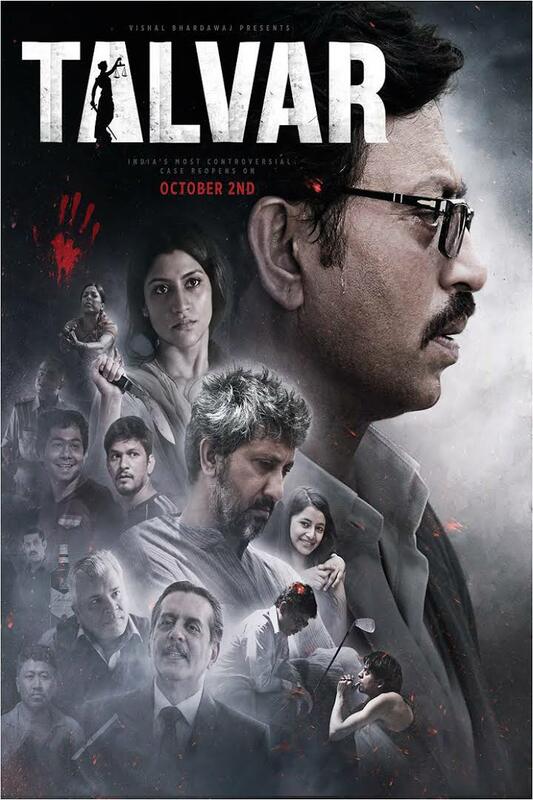 Talvar : This movie changed the way I looked at Aarushi murder case before. Talvar in this movie refers to investigation agency which truly plays an important role in bringing true facts of a case in front of court. Irffan, Konkana Sen, has strong roles which they performed well but it scores high for his screenplay and direction so applauds for Vishal Bhardwaj and Meghna Gulzar for this wonderful researched film. 10. 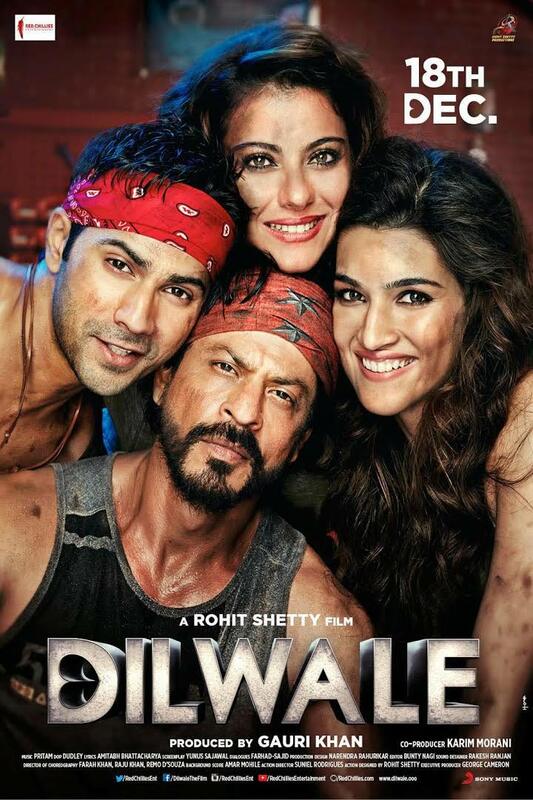 Dilwale : I have selected this movie only for Shah Rukh Khan. It has a weak story but an entertaining screenplay. SRK and Kajol's chemistry is the highlight of the film. Rohit Shetty knows best how to make a high earning film but SRK in his Chennai Express was far better than his Dilwale. When I prepared the list of best movies of 2015, I shortlisted only 14 movies which shocked me looking at the number of movies released in this year I hope making above list would be much difficult for me in the next year than this year. The other fuor movies on my list were Manjhi - The Mountain Man, Phantom, Prem Ratan Dhan Payo and Bajirao Mastani. 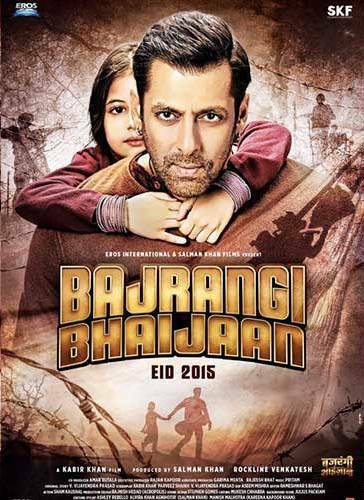 If I have to select the best film of the year I would pick Bajrangi Bhaijaan. Good or bad I will anyways watch them for love of Hindi Cinema. Films I am looking forward in 2016 are Airlift, Fan, Wazir, Raees, Dangal, Sultaan, Jagga Jasoos, Nirja , Ae Dil Hai Mushkil, Azhar and Aligarh. On the whole, I'm glad we agree! Haven't watched Bahubali and Talvar yet!! Just visiting to send warm wishes, Happy New Year :) ! A nice list Cifar .. watched some of them. 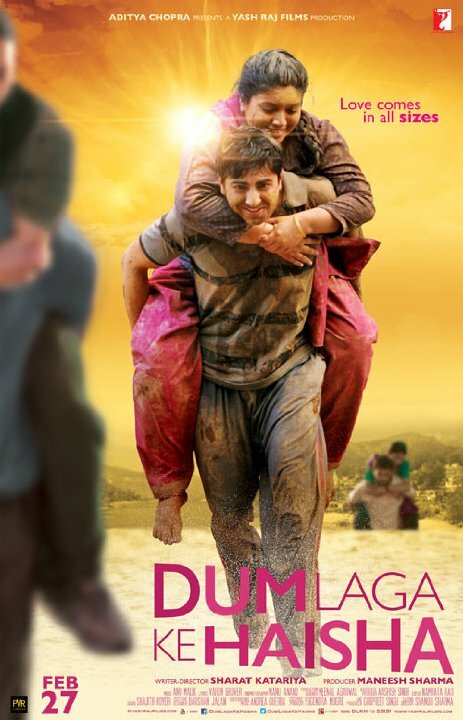 Dum Laga Ke.. was nearly perfect for me with the end credits song with 'nuanced Ayushman' ala` 90s Salman style! Really nice blog. I have watched Drishyam and Bajrangi Bhaijaan. They are very good movies. and i am going to planning to watch Kahaani2 of #vidhyabalan and Dangal of #Aamirkhan. Thanks for sharing with us. I think all these movies top Bollywood movies of 2016. I would like to share with all my friends. I will visit again.